Bhutan Trust Fund for Environmental Conservation organised three-day Capacity Building Workshop for Result-Based Project Management in Conservation, covering the Western Dzongkhags between July 9 and 11. The workshop covered the main component of developing competitive proposals for BTFEC Grants, with emphasis on efficient & effective project formulation and grant implementation. 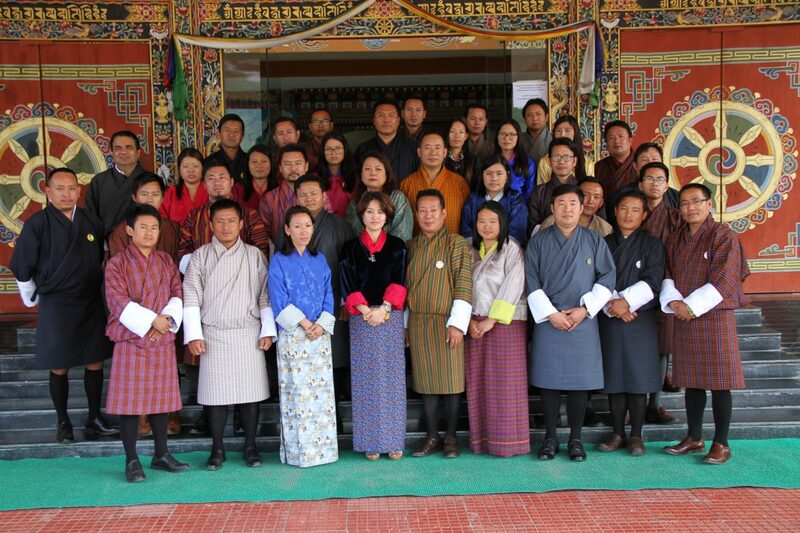 Twenty-eight participants comprising Dzongkhag Planning Officers, Dzongkhag Environmental Officers, Gewog Administration Officers, among others attended the training. The participants commented that the workshop provided them with the skills on proposal writing, which they can apply in the future and in training their peers and junior officers. They commended the workshop organization, the competence and mentorship provided by the BTFEC. A major recommendation provided by the participants was the need of more of such workshops covering officers at grassroots especially the Gewog Administration Officer, and Gewog Extension Staff. The trainings started with a short pre-test which gauged the existing knowledge and capabilities of the participants about the ideas and concepts to be delivered during the training. There was a post-test conducted at the end of the training which contained different questions but ask about similar concepts asked in the pre-test. This was aimed at comparing the participants’ knowledge of the ideas discussed in the workshop before the training and after they participated in the training. Different training participatory methodologies were used during the training in order to enable the participants gain maximum benefit from the workshop and also share their experiences with one another, so that they not only learn from the trainers but also from each other.